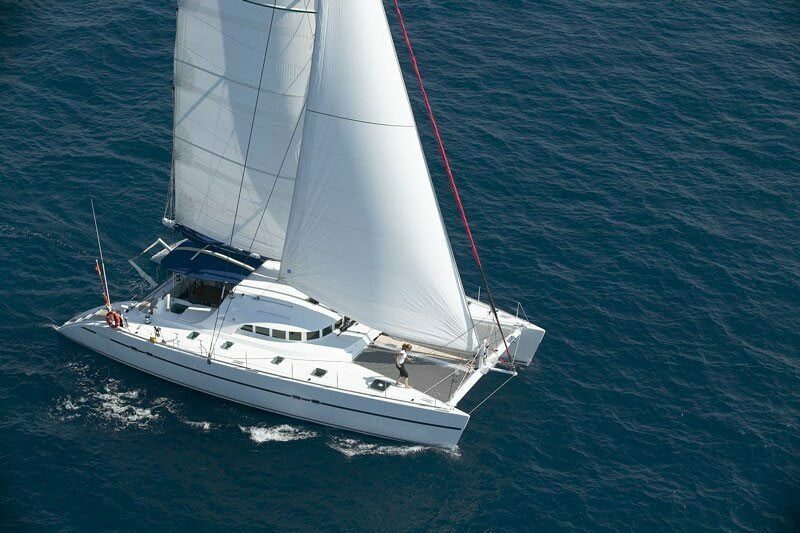 – Refitted for the season 2019! 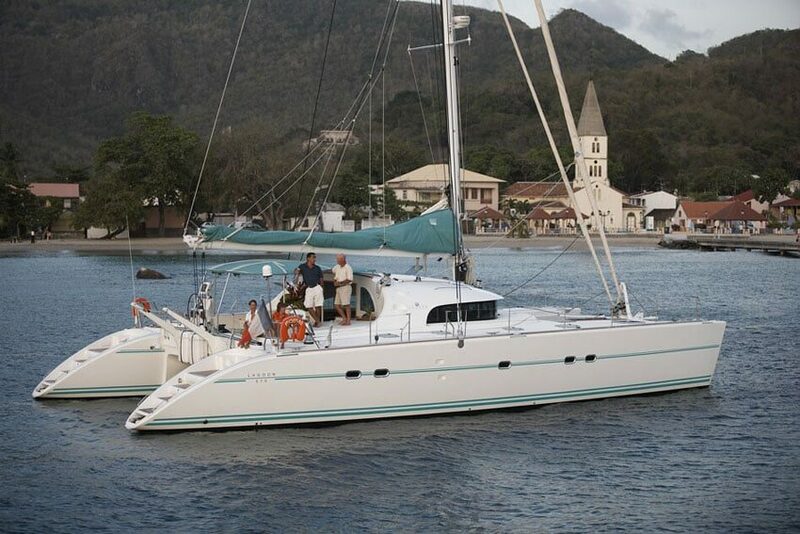 A sailing vacation on catamaran LAGOON 570 Mala is all about freedom. Freedom to choose what you want to do, where you want to go, what you want to experience. You get a unique custom-made vacation on which you can choose from a whole range of places, sites, local dishes and outdoor activities. 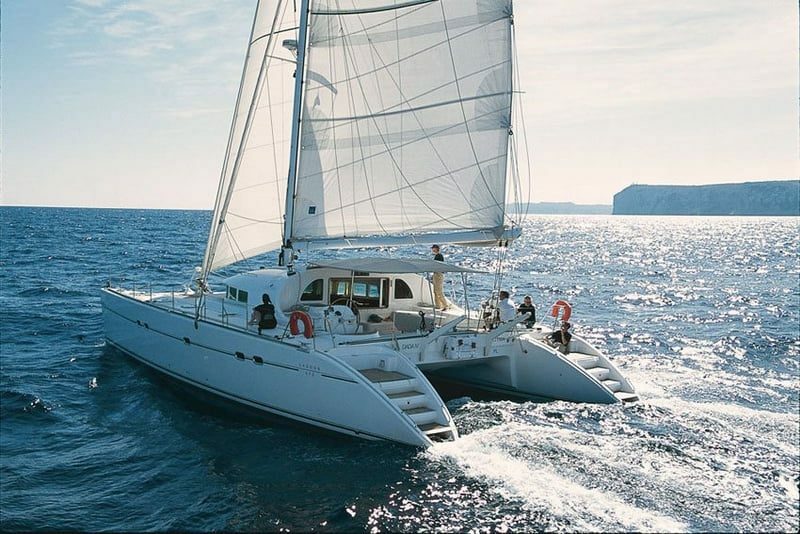 LAGOON 570 Mala offers you a dream vacation sailing from one beautiful island to another. 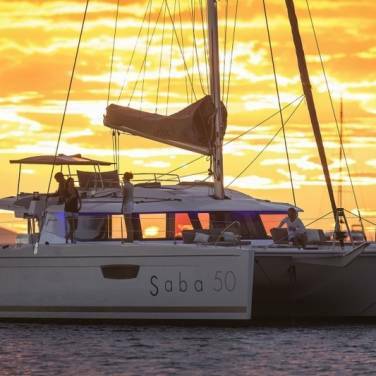 With a blend of crystal-clear waters, hidden coves, ancient towns, breathtaking sunset, and local specialties you will get the best that Adriatic has to offer. 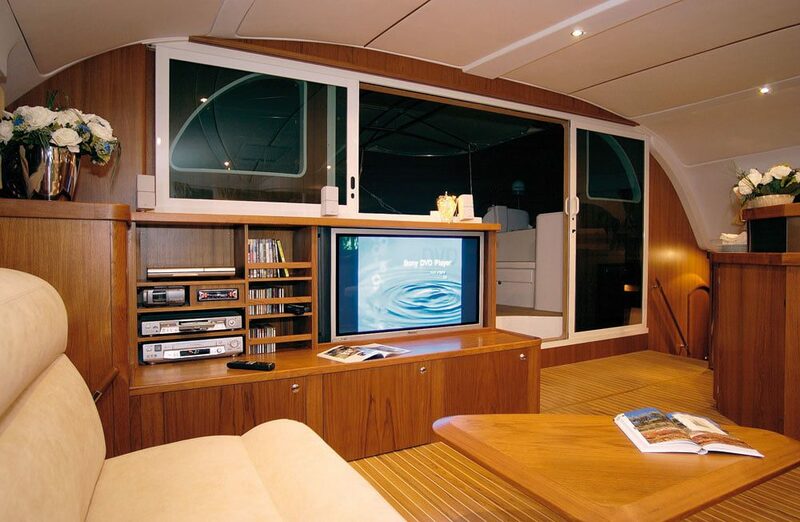 Let catamaran Lagoon 570 Mala be your floating home where you can experience all of these amazing things. 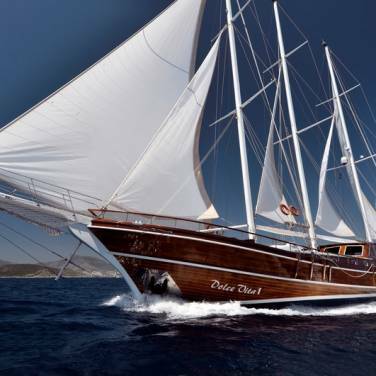 This exceptional yacht is one of a kind in the whole Adriatic. 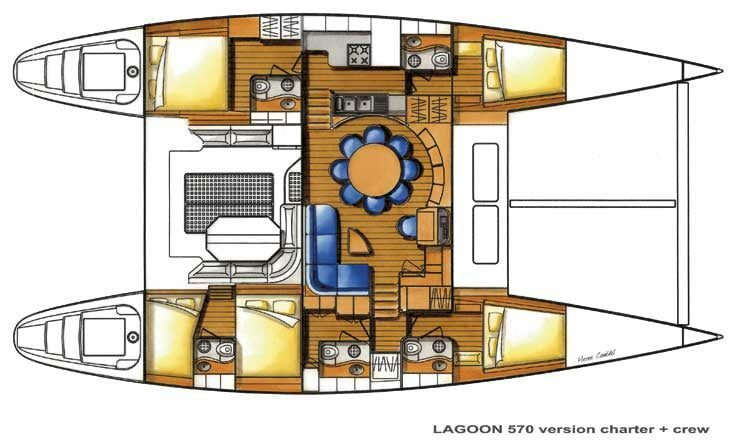 With its especially large beam it is more spacious than much larger yachts, more stable than any kind of vessel. 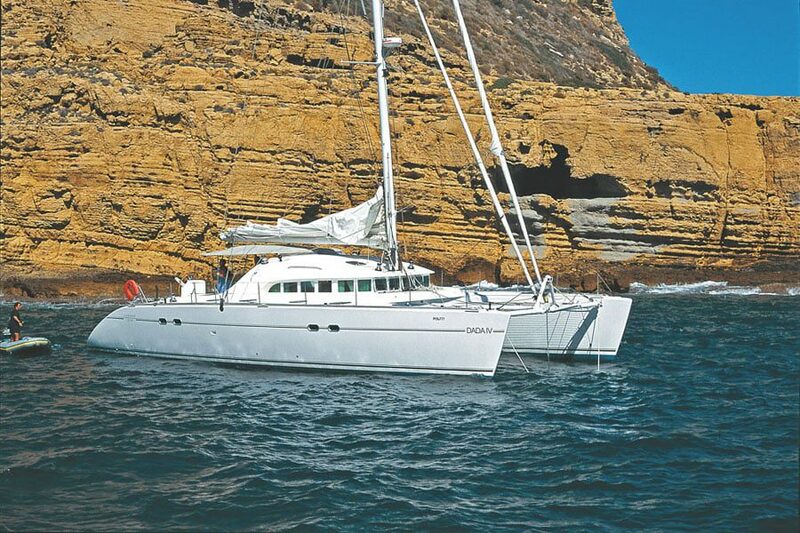 It’s seaworthy, fast and elegant. 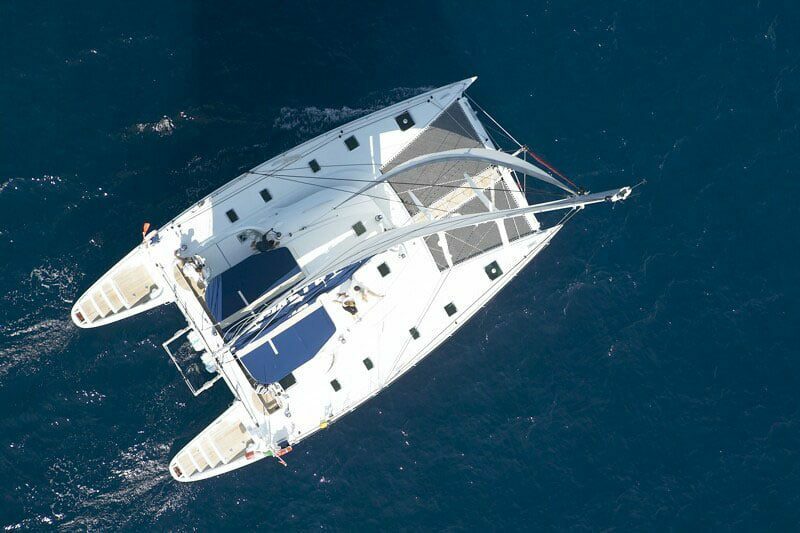 It is being carefully refitted by the crew for the 2019 season! 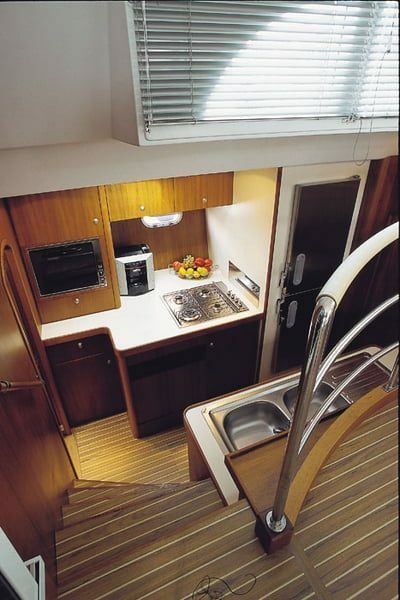 She offers an accommodation for 6 guests in 3 separate AC & en-suite cabins. 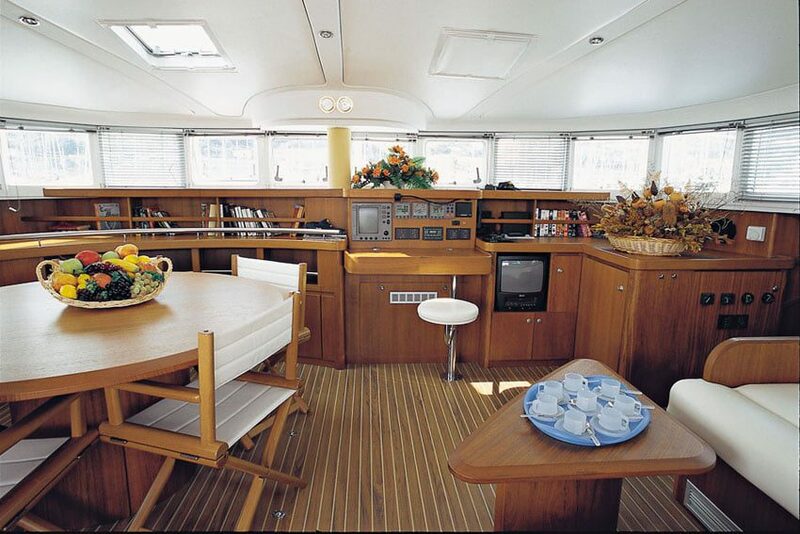 Mala has a lot of outdoor areas: Several day beds on the bow: a perfect place to enjoy the ride while sailing. Here You will hear nothing but the light breeze and the water flow just two feet underneath while the sun caresses your skin. 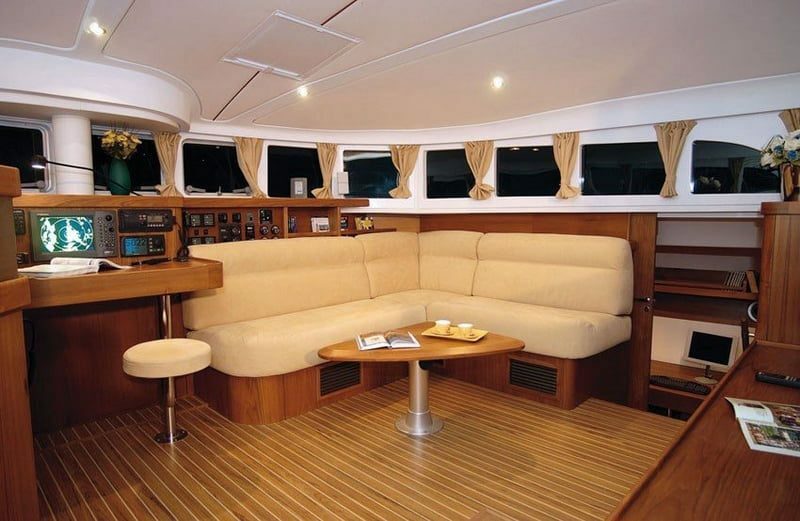 On the hardtop: soft day beds and cushion seats, the best place to enjoy the sunset before dinner and a million stars after. 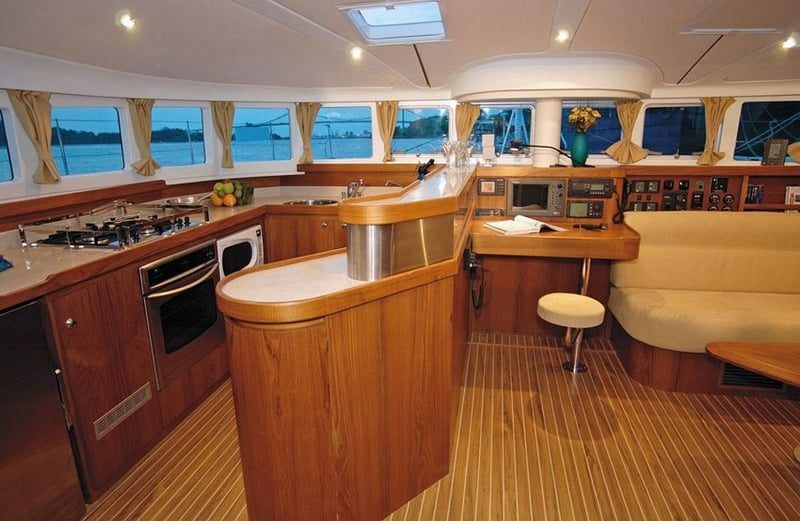 Cockpit area with a lot of seats and sun beds to relax at leisure during and after a delicious and freshly prepared meal. 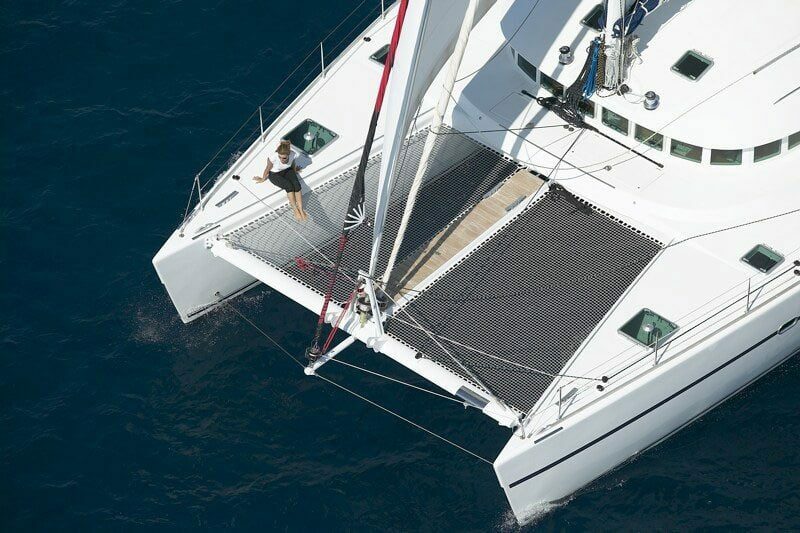 Steps and ladders provide easy access in and out of the water. 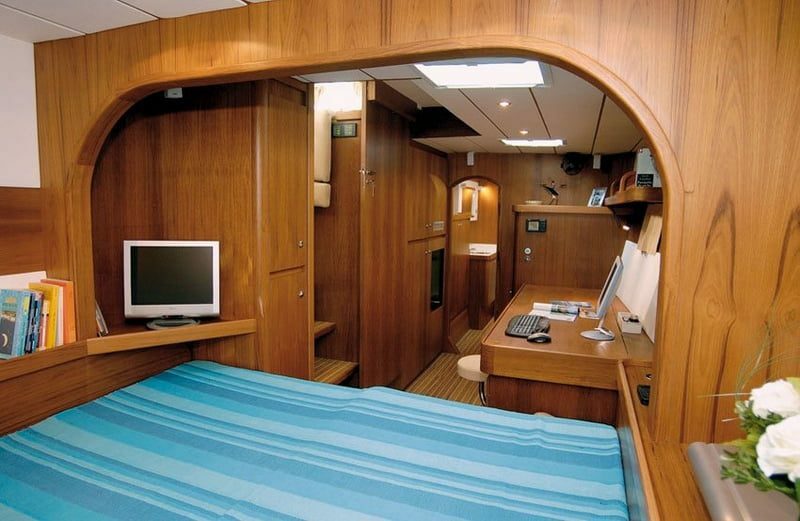 Large and spacious saloon: your office and TV area or just a getaway from the sun. 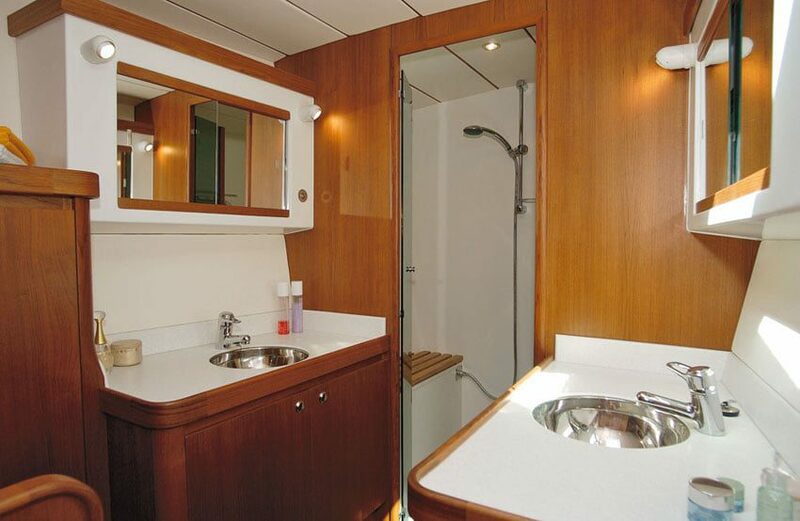 All three cabins have a double bed and private bathroom. Each room is equipped with an air-con device but also features large windows to let in fresh air and plenty of natural light. 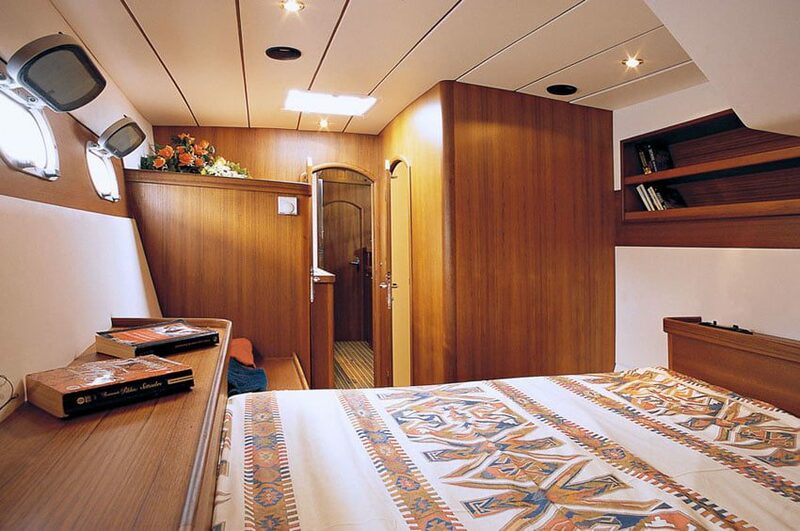 2 large and spacious cabins and 1 XL master cabin, all en-suite. 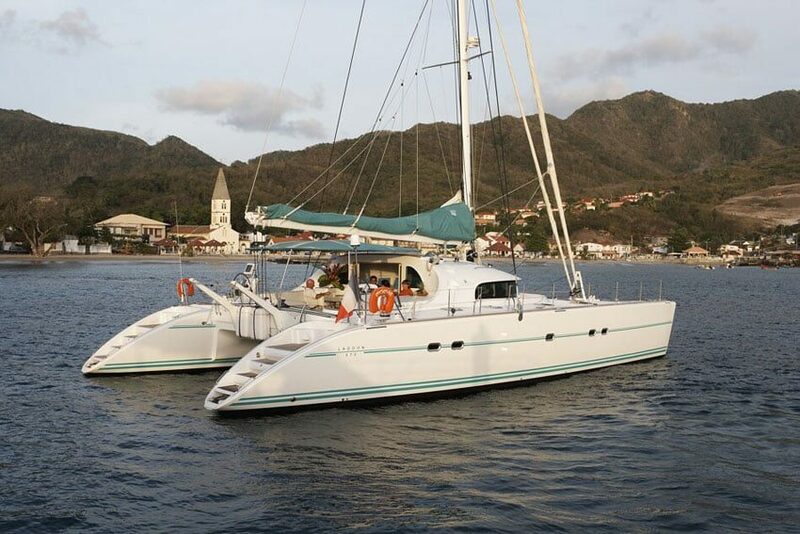 – Catamaran Lagoon 570 Mala is a perfect choice for a family with kids – it is the safest type of vessel so kids can freely walk around the boat. 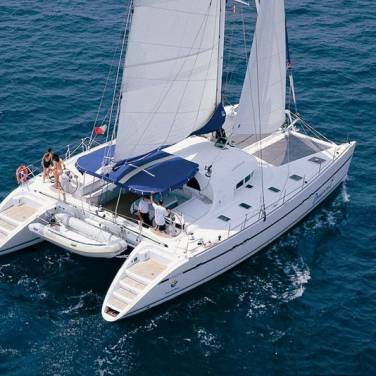 – Catamaran Mala is a great choice for couples who like to travel together but still have their own privacy – she has 3 separate independent ensuite cabins. APA – fee that covers costs of requested food and beverages, ports fees, diesel etc. 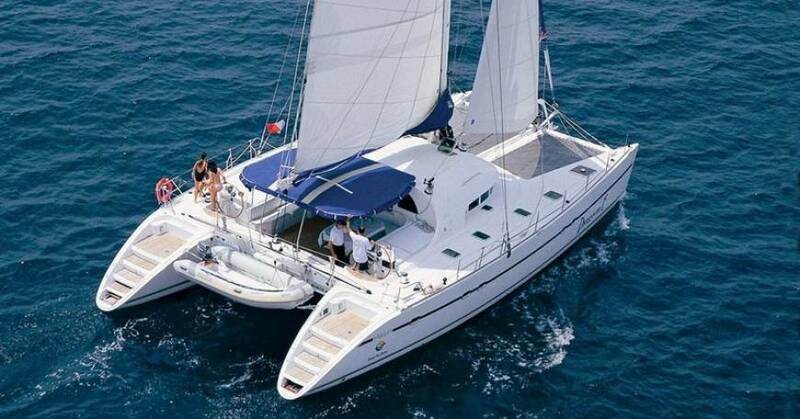 Captain keeps record of all expenses on board and returns the balance to the client or asks payment of the remaining costs (if any occurred) at the end of the charter week. 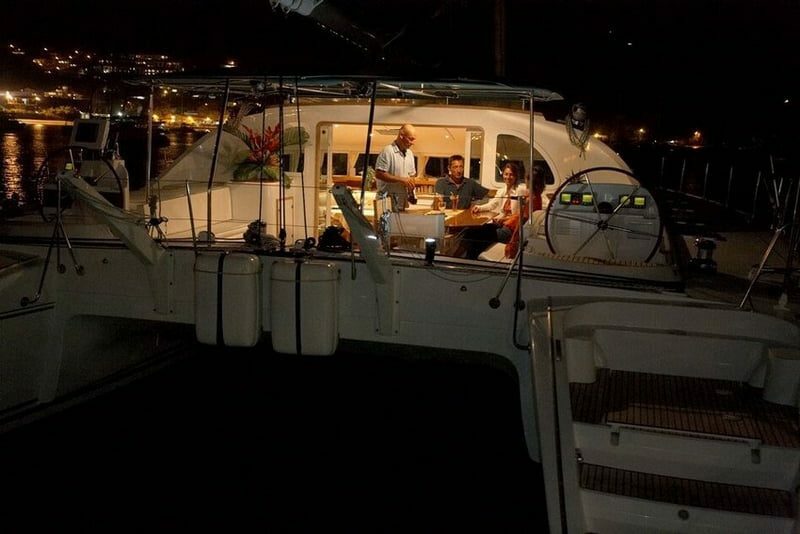 Captain Zoki is friendly, experienced and safety competent, everything you need from your captain. 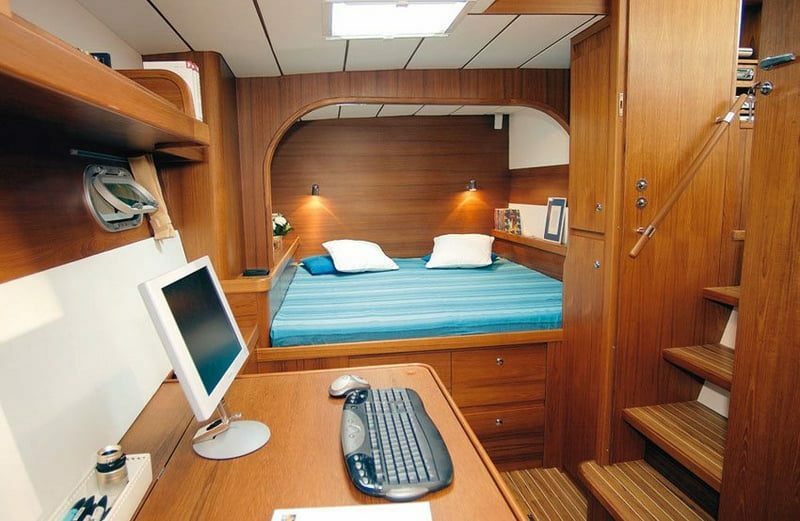 He’s an outstanding sailor sailing on the Adriatic since the age of ten which means he knows the area intimately. He can take you to amazing places which are not in travel guides — his secret gems — from where you will never want to leave. Hostess Sanja is an easy-going, sociable and open-minded person. Passionate about travel, she speaks fluent Spanish and English. 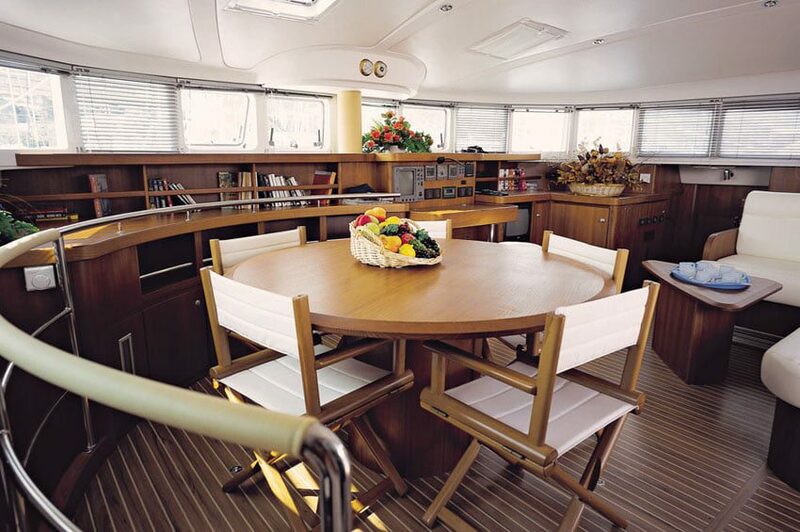 Guests describe Sanja as a “warm, funny, caring person”, and “a delight to spend time with”. 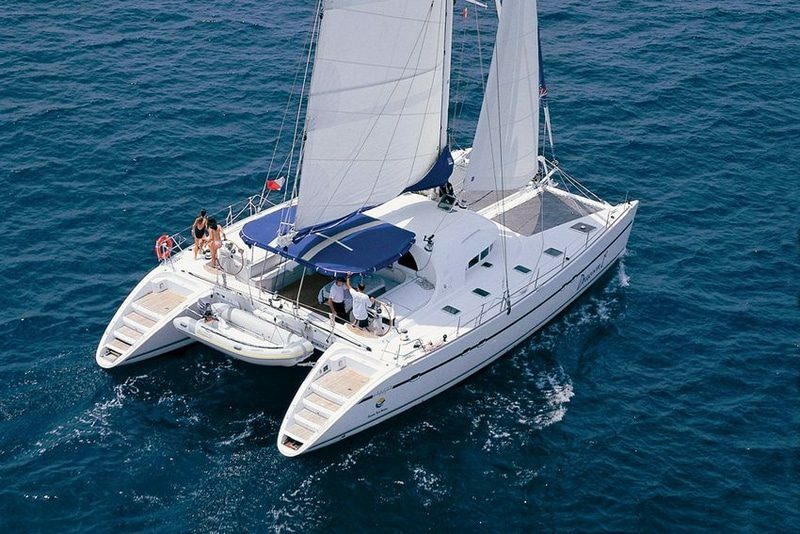 Captain Zoki’s calm ways, expertise and knowledge of the area and Sanja’s warm and outgoing personality are a perfect match for a week of relaxation, fun and enjoyment.